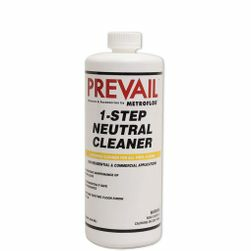 Fast acting, low odor vinyl floor stripper by Prevail to safely remove Prevail Matte or Gloss floor finish on all ungrouted luxury vinyl tile & plank by Metro floor. 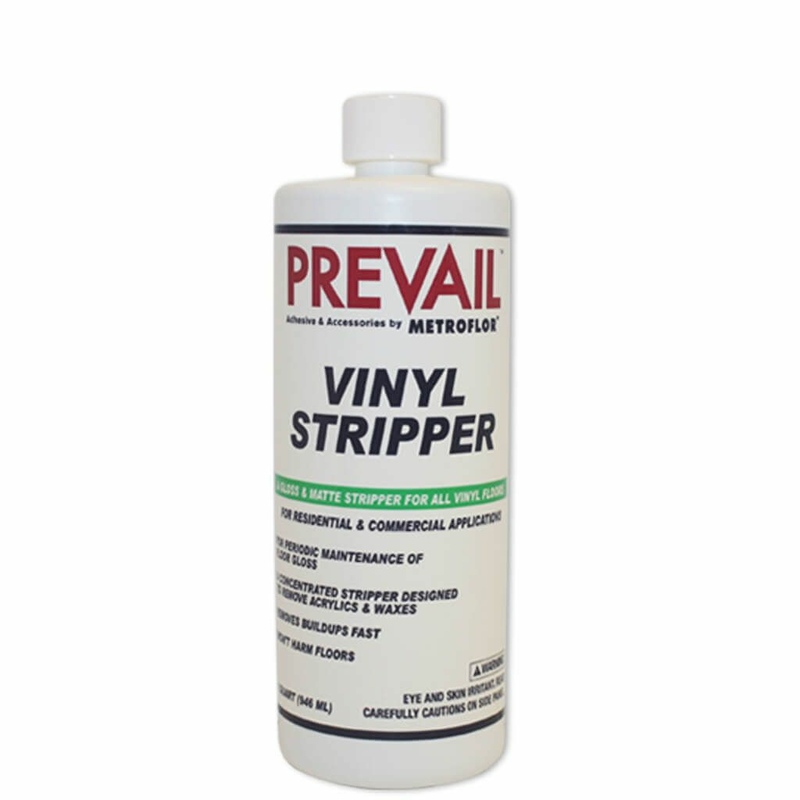 Prevail™ Vinyl Stripper, 1 quart is intended for periodic maintenance to remove buildup of acrylic finish or floor wax without harm to the vinyl floor. 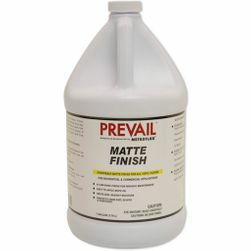 For Use On: All Metroflor® luxury vinyl tile and plank floors. Residential & Commercial. Read Product label & Flooring Maintenance Instructions prior to use and test product in an inconspicuous area prior to full application. Caution: Floor will be slippery when stripped of finish. 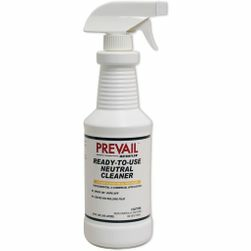 Preparation: Sweep or vacuum floor to remove loose dirt and debris. 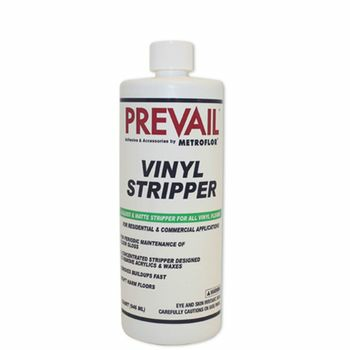 Application: Dilute one quart Prevail™ Vinyl Stripper per 3 quarts of water. Spread over a moderate-size area and let soak for 5 minutes. Scrub at a low speed using a 3M green scrubbing pad or equivalent, or Scrub-Grit or equivalent. Do not use coarser brushes or pads than those noted. Vacuum spent solution, rinse thoroughly with clean water, and vacuum again. 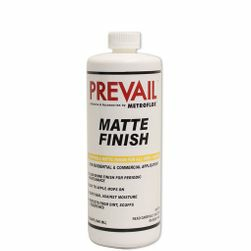 After the floor is dry, apply Prevail Gloss or Matte flooring finish per product instructions. Coverage: Approximately 150-200 square feet per quart. Safety Data Sheet for Metroflor Vinyl Stripper. 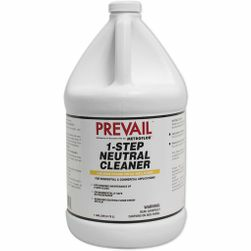 See General Maintenance Instructions for Ceramic Bead Finish or General Maintenance Instructions for Non-Ceramic Bead Finish for Initial Care & Preventive Maintenance Directions.